My favorite color is yellow. The brighter the bolder. When I was in college, I had a single dorm room my junior year. My Mom helped me paint it yellow...not butter yellow but BOLD BRIGHT put your sunglasses on yellow. It makes me happy, it is difficult to be anything other than happy for me when gazing at yellow. 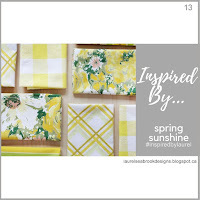 There are three challenges all with lovely yellow bits of inspiration, so I have one card that combines elements of each challenge. 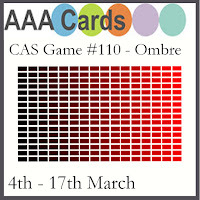 In order of challenge date : The Card Concept 89 - Spring has Sprung, The Inspired by Challenge - Spring Sunshine, and Time Out Challenge - 106. The inspiration photos are below. Can you see all that glorious yellow and white and there are touches of green and two have a dip of blue as well. I was inspired by the the bold yellow with the big flowers on the chair of the Card Concept Image. My card I hope is clean and layered. From Inspired by I loved the plaid and of course the flowers. From Time out, that vase atop the blue cake stand - I love the cut outs in the vase. I hope you all can see where I took my inspiration to create this card. Have a fabulous weekend. This card is for CAS on Friday, the theme is Easter. The card is going to my Godson, who is about to graduate from college. The eggs and sentiment are from Lawn Fawn. Hi there, I was rushing to meet a deadline but I missed it by a couple of minutes. Oh well, I am posting the card in any case, as it is something different! It'll make a good "over the hill" kinda card. It was for the challenge #19 over at Concord and 9th. I took a bit of a liberty with the sentiment on my version. Here is the sketch. 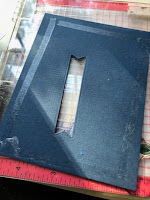 I moved the sentiment on mine.The outer ring of the center circle is adhered to the interior of the card, the smallest circle pops up above the card front when laid flat. 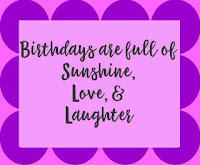 I have a sweet little birthday card with some bright colors, it was made with love, and it brings a smile to my face. The flower images are from Uniko Studio, so this will also go to Uniko's March/April Challenge. I've gone with some of the colors, but no optional twist. My supply of thank you cards is horribly low, so you'll be seeing quite a few in the next several posts. This card was inspired by the colors at CAS Colours and Sketches #264, the sketch at Freshly Made Sketches # 329 and by Simon Says Wednesday Challenge - Floral Frenzy. I am also submitting to SSS's National Craft Month. The stamp is from Concord and 9th, and was copic colored. The outlines and sentiment were stamped in Smokey Gray for a softer touch than black. Now that the snow is gone, its time to break out those flower stamps and dies. This is my third flower card today, earlier I posted these. I broke out a new stamp set that has been waiting patiently since early February Hand Drawn Florals from Avery Elle. I used copics to color the biggest bloom, and matched the ribbon die. The sentiment also comes from that same set. As I was laying it out, I felt it needed a little bit more. My hands were cramped from coloring and earlier die cutting, so I grabbed a few Altenew Cosmo's lying on my table and I used those behind the main image. I am entering this card to Color Throwdown #485, Simon Says Stamp Wednesday Challenge -Floral Frenzy, and Simon Says Stamp's National Craft Month challenge. I am getting my twofer in on the last day of the challenge. I used the Altenew Rose Flurries dies for both cards along with some paint chips. I love a lot of the cards I see made with these dies, but I had a difficult time figuring them out. There are so many dies with this set almost 30. 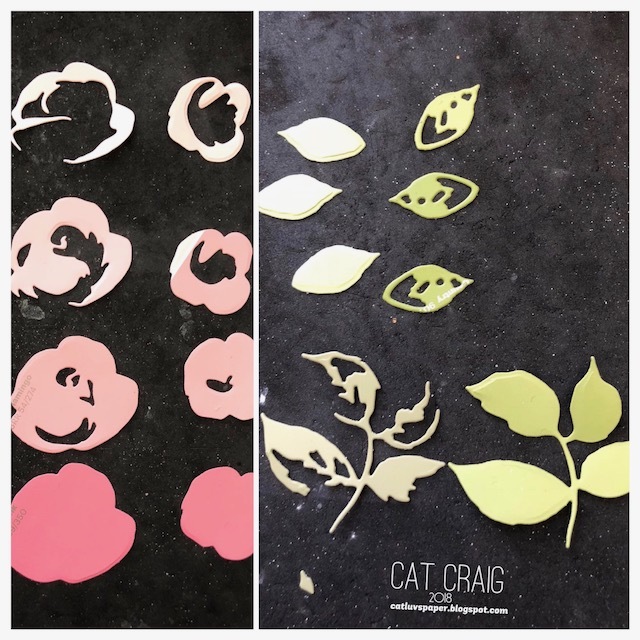 5 flowers with 3 - 4 layers each, 3 leaf dies with two pieces each along with several single layer dies for filler. My first try with the roses is on the right side. The colors are a bit off, but it was a lot of work so I'm going with it. Then I decided I had to organize the dies. Below is a photo of the dies and the layering guide. I layed out each of the dies and traced them on magnetic vent cover material. I labeled each outline, and also labeled each flower on the package insert so they corresponded. This made it MUCH easier to build my flowers and choose appropriate colors. Since I was using paint chips for the differing colors, it makes sense to look at each layer see what it covers. You'll see on some of my cuts there is writing and the white separation line from the paint chips. These blemishes are covered up by following layers. I hope seeing my process helps anyone else struggling a bit to get these fabulous flowers put together. Yup this makes the third month of my cards inspired by a Bizarre and Unique calendar Day. It's difficult to tell in the photo, but there are 3 layers of the pups on this card. Its a fabulously snowy day today and since hubs works out of our home, we can both enjoy the weather without having to actually be out in it. 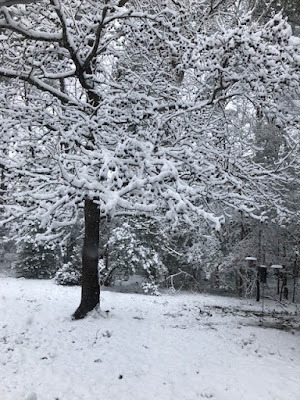 Having spent most of my life in southern California, snow when it came was always magical. That doesn't change in adulthood. Hubs and I were on our way to Calfornia to visit my Dad when the last snowfall hit - it was a bit of a tricky drive but our flight made it out of Baltimore before the airports started cancelling flights. I am happy to have another snowy day where I can craft and watch it come down; I haven't stopped smiling since I woke up. I made lentil soup yesterday, we have some crusty rolls to go with it so I am set to play in my crafty space most of the day. This card is for Shopping our Stash # 346 Here comes Peter Cottontail,we are to provide Easter Creations. This is a Stampendous image, it was a gift last year so he's making his Easter debut this year. The stamp was heat embossed with versafine onyx black and clear powder and colored with zigs. That natural light from my window with all the snow makes for a photo that needs no adjusting. Here is my view today. Snow is expected to fall well into night time. I am submitting this to AAA Cards - Ombre, and even though I used an embossing folder and added an edge cut since it is mostly white on white with only the sentiment color, I still feel this is a CAS card. Another card I have been unexpectedly been needing is a pet sympathy cards. Many of my friends have older dogs and cats and several have passed on in the last year. I needed another unexpectedly today. So I made two just to have a spare. My sentiment was colored in 3 blues and diecut on top of fun foam to give it a bit of weight on the card. 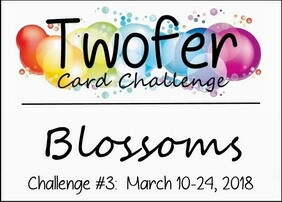 Ohh another card challenge that I have just minutes to get my card posted. This one is for Uniko's 6th birthday. I've used Natures Treasures 2 to make this masculine birthday card and layered it up a bit to make it touch formal. 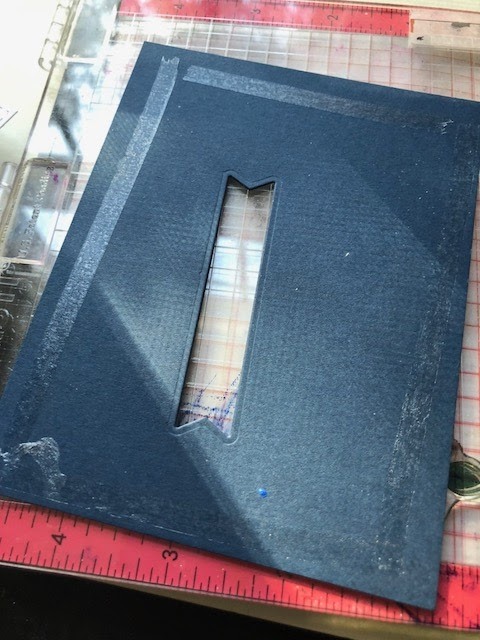 Since I layered this one on a card base, I cut my banner from the middle of the mat layer to ensure it matches and to avoid having to cut up another card based size piece. 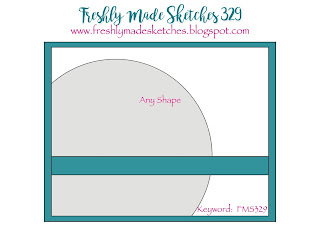 I saw this sketch at Freshly Made Sketches and realized I had 30 minutes til it closed! Thanks to my CCC pal Arlene, I have this magnolia which I quickly colored with zigs and mounted on black with black pp for a dramatic look! 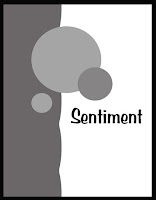 No sentiment, its just going to be a note card! Green...huh. I am not a green fan despite my love of flowers. 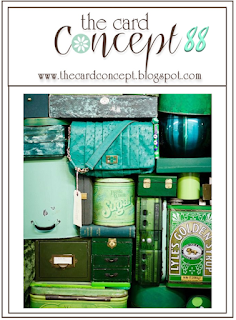 Though I have to say a lot of green makes its way onto my cards. Here are lots of greens in the inspiration photo for The Card Concept # 88. I was taken with the gold accents to the various greens. My card is kind of clean an layered. So I gold embossed the SSS Cora Background stamp with Hero Arts gold ep. I used a Clarity stencil brush to add the HA Lime Green ink. I die cut the bottom with PPP's scalloped borders 2 and mounted it to a SSS Green Leaf cardbase. The sentiment is from MFT - More Essential Sentiments. And since the gold wasn't enough there is bit of green glitter paper under the sentiment. And of course this will be submitted to Simon's Work it Wednesday - Green. This one is for a friend whose favorite color is green and she's Irish. I thought the hearts and the pattern were vaguely reminiscent of a Claddagh. I had a burst of creativity today! I had a project that was weighing me down creatively, but I finished it. As a result, I am very much ready to play in my crafty space. 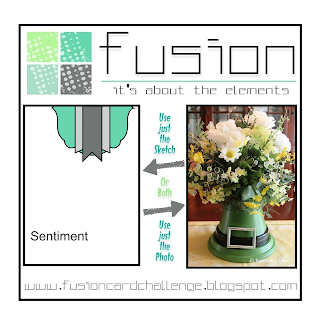 Here is the graphic for Fusion, the title is Saint Paddy's Day. But I took a different turn with it. I was very much influenced by the white and yellow flowers, as well as the abundant greenery. I'm working my way through my bin of un-inked stamps and decided to play with WPlus 9's rose builder. For a layering stamp it is fairly easy to use. I stamped three of the layers for the big rose, using the same ink color on the two biggest layers, I simply stamped it 4 times for the second layer. I used two colors for the smaller rose along with two of the three stamps. Along with the stamps, I used the cut and stamp set from SSS/HA Prayers, and an embossing folder from Stampin Up. Inks for the roses were HA Soft Granite and SSS Fog for the grays; SSS Duckling and HA Soft Vanilla. 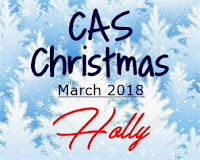 I was happy to find a new Christmas Card Challenge - CAS Christmas Card. The first challenge has started on the 3rd and is open for linking up until the 24th; winners will be announced on the 28th. Those are the dates for each month's challenge. I thought I'd go with an all die cut card - I'm using Paper Smooches Christmas Words 2. I chose to cut everything from the card base, color it with copic markers and lay it back into the card base. 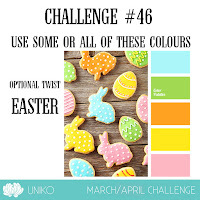 There is still lots of time, give the challenge a try. Another card this afternoon, and it'll fit three challenges. 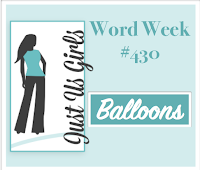 CAS on Friday is a one layer card, Shopping our Stash uses stencils, and Just us Girls has a word challenge - Balloons. The balloons are made with an Echo Park stencil and distress inks in Mowed Lawn, Faded Jeans and Tumbled Glass. Sentiment is from Winnie & Walter's Big Bold Happy Set stamped in Versafine Majestic Blue. We have been having high winds here in Maryland. I watched the very tall trees outside my 2nd floor window sway to and for and am glad the ground is not overly saturated. I've been watching one particular branch that is stuck on another branch. I was sure it is going become an airborne weapon at the next big gust. But today, it is much calmer and the branch is still entangled. It is a perfect day to make cards and I am very much in the mood to do so, so there may be several posts today. This post is for two Christmas Card Challenges - Merry Monday and Muse Christmas Visions. I have one card dedicated for each challenge. I am very much on target with my 5 Christmas cards per month goal. 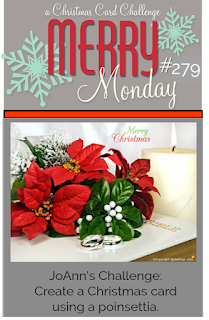 The prompt at Merry Monday is using a poinsettia, and the inspiration at Muse - CV is a lovely inked backdrop with white silhouettes. The challenge graphics for both are below. Merry Monday's card was inspired by my love of coloring flowers. I mounted the panel on a black base to add drama and formality to the card even with the ink spatters. 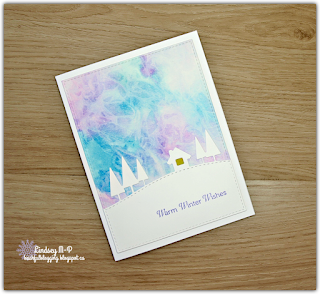 The Muse Christmas Visions card was inspired by the inked backdrop and the white silhouettes in the foreground. I used distress oxide inks to color in the backdrop to my oval birch trees. A simple sentiment and some clear sequins complete the card. Thanks so very much for taking a look! This month my card went to my dear blogging friend Greta. I went with the sketch -- somewhat loosely - can you see the sketch in my card?. You can still sign up for the March swap here until Tuesday March 6th 2018.